Some 50 million adult Americans are born-again Christians, and in the 1980s, they burst into the political arena with stunning force. Gone was the image of "old-fashioned" fundamentalism and its anti-worldly, separatist philosophy. Under the leadership of the Reverend Jerry Falwell and his allied preachers, they claimed new cultural territory and refashioned themselves in the public arena. 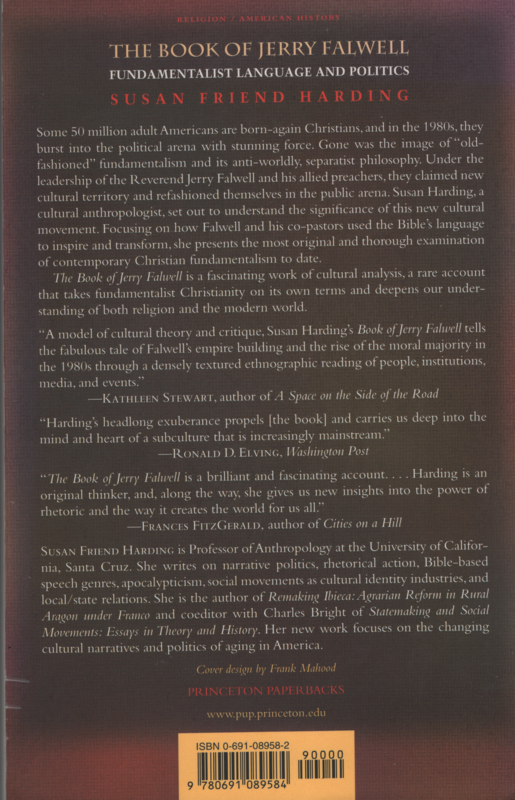 Susan Harding, a cultural anthropologist, set out to understand the significance of this new cultural movement. 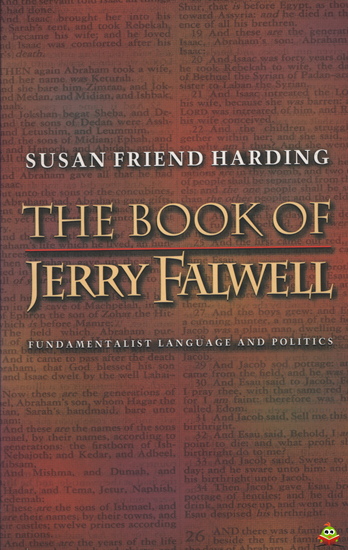 Focusing on how Falwell and his co-pastors used the Bible's language to inspire and transform, she presents the most original and thorough examination of contemporary Christian fundamentalism to date. 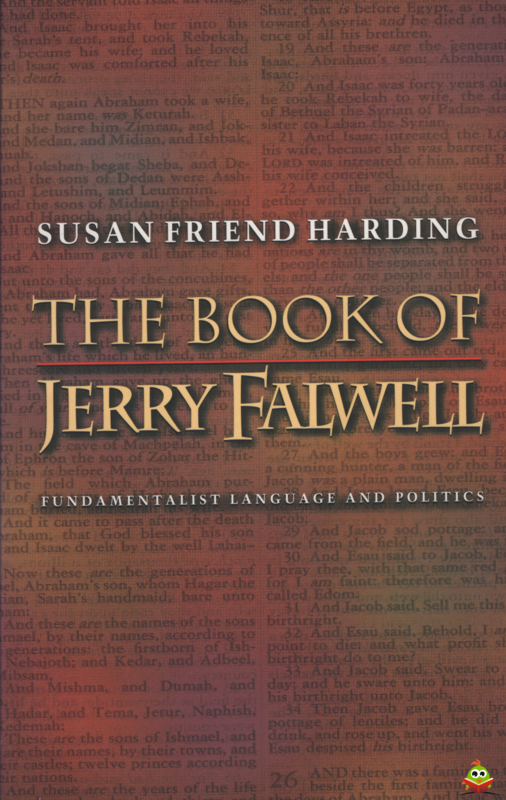 The Book of Falwell is a fascinating work of cultural analysis, a rare account that takes fundamentalist Christianity on its own terms and deepens our under-standing of both religion and the modern world. Lichte leessporen. Naam op schutblad, verder niet in geschreven of gevouwen. Een breuklijn op de rug. Gekneusde kaftpuntjes.